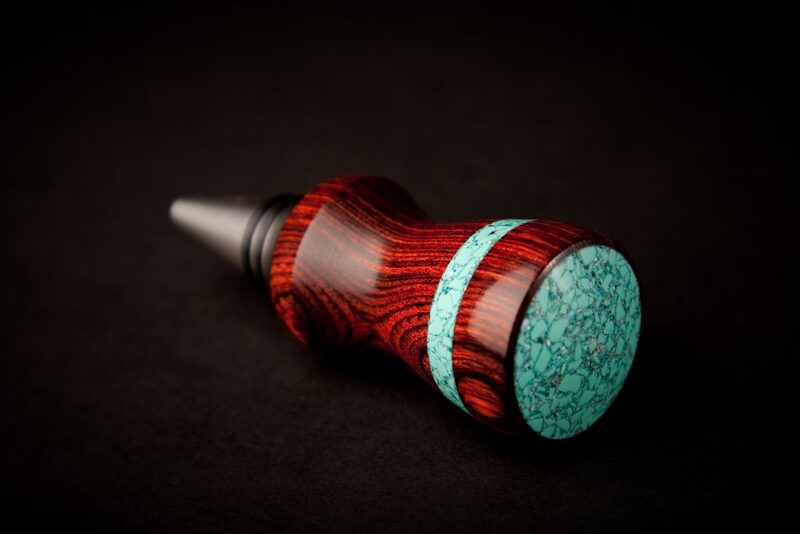 Bottle stoppers have many purposes and are functional-wine bottles, bottles of spirits, oils and containers that are on display in the home, personal wine cellars and during public tastings to add to branding. 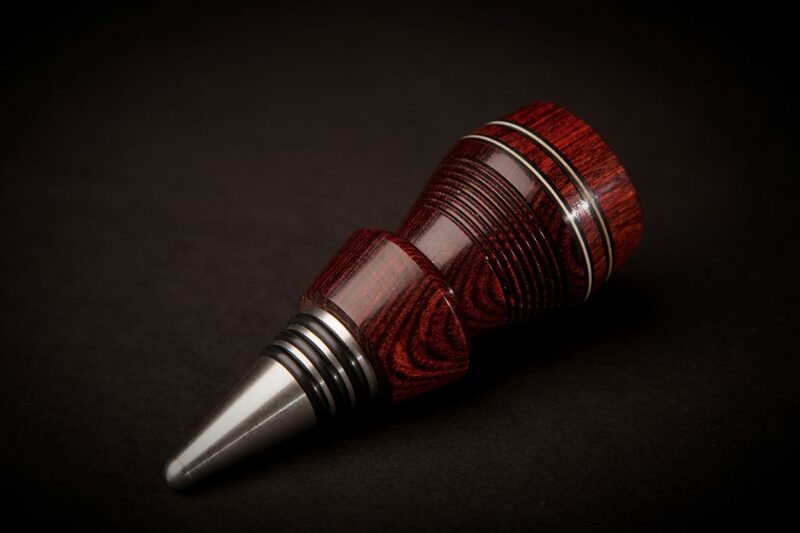 Bottle stoppers can be made of most any woods with unique shapes,sizes and colors. Stopper crowns can be of most any hardwood. Some woods are selected because of the location they are from. All hardware (cones) are machined from 431 food grade stainless steel with neoprene seals. Optional hardware can be a “Perfect Seal” stopper type cone should container be laid down this seal will not leak. Optional packaging is available in the form of Gift Boxes. 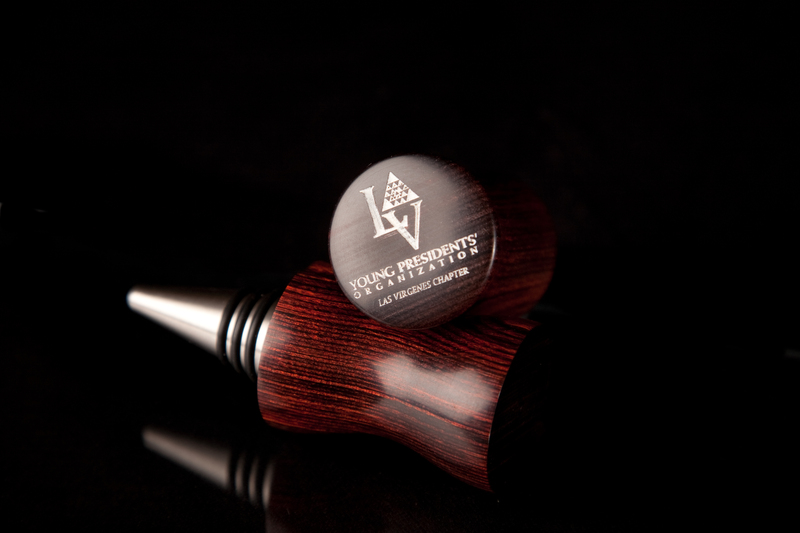 Stoppers can have many custom options from medallion inlays to simple engraved image. 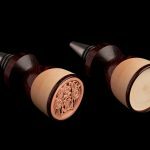 Bottle Stoppers can be simple, ours are not simple; a lot of thought goes into recommending a shape, type of wood and features of a stopper. Let’s talk about design! 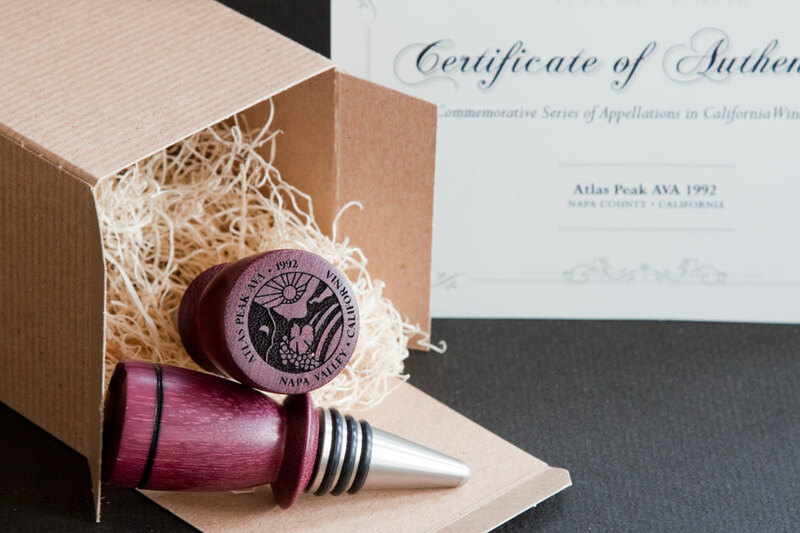 We have designed commemorative pieces to honor a special event and award. 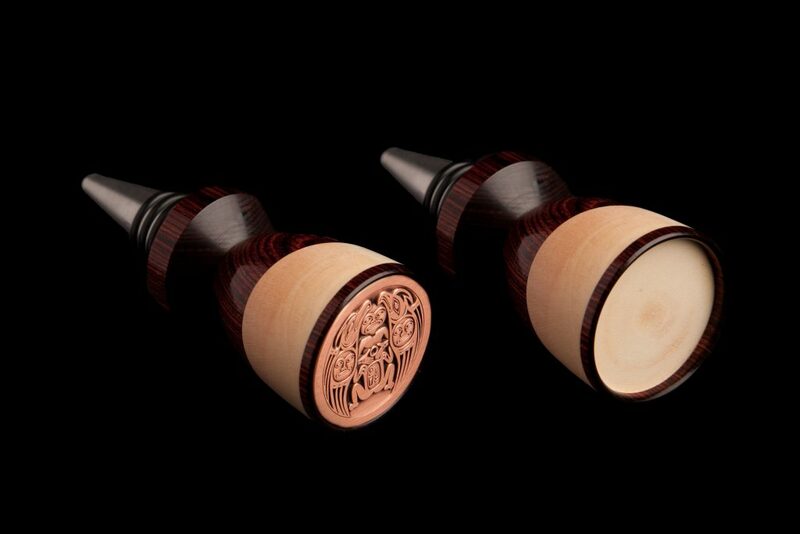 Shown here are the crowns (tops) of stoppers with special medallions minted and then inlaid into the crown. The same effect can be achieved with laser engraving. 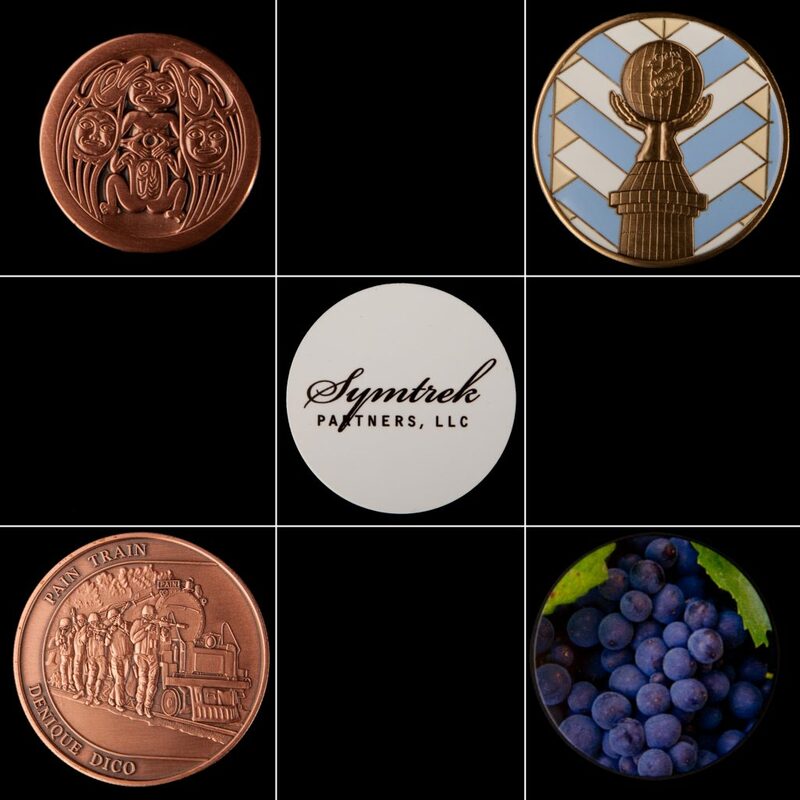 We can help you select types of woods, colors, type of stainless steel stopper hardware and any form of branding/identity you want. For example, inlay medallion, laser engraving into the wood, stone inlay, exotic wood inlay and even gift box packaging. 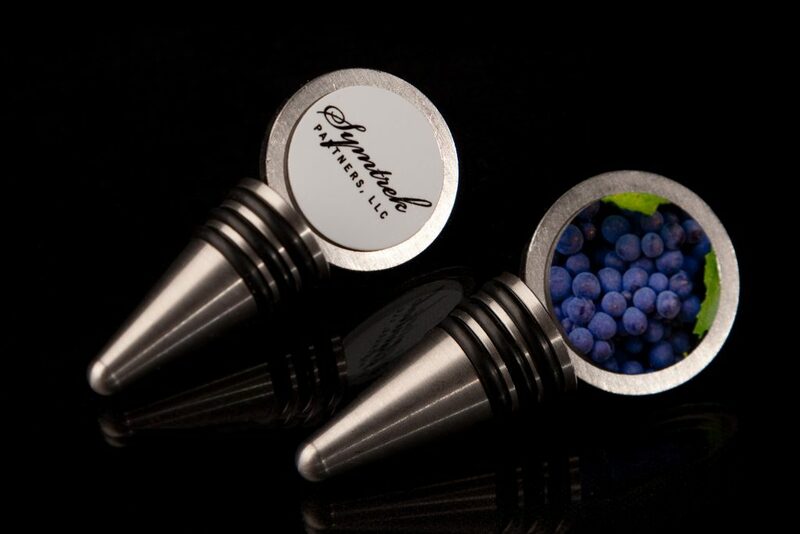 Super effective for branding, event/meeting favors, wedding favors and commercial events such as wine tastings. 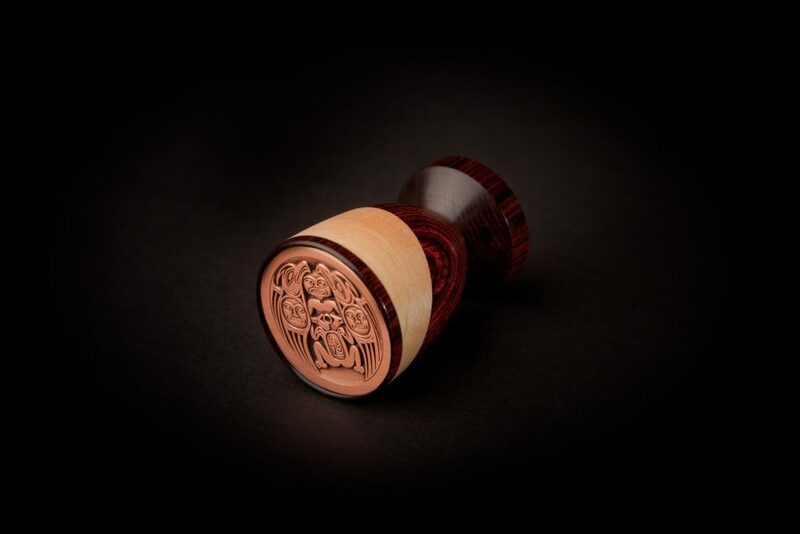 Depending on detail of the stopper design it can be considered a premium gift item.